A report shows that based on preliminary figures for 2018, the key figures for the fourth quarter can be anticipated. 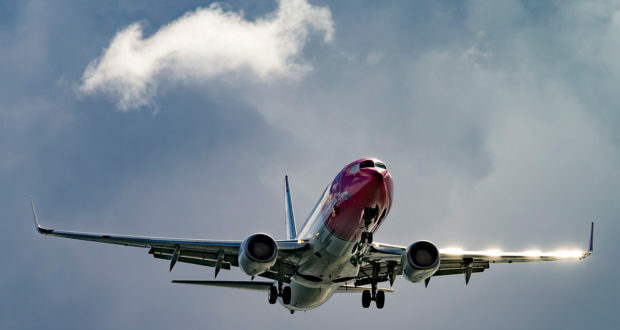 Norwegian lost NOK 4 billion (€414 million) during the final three months of 2018, writes the online business newspaper E24 referring to the carrier’s preliminary figures for the fourth quarter. In a stock exchange announcement this week, the company published preliminary figures showing that its turnover increased sharply last year from NOK 30.9 to NOK 40.3 billion against 2017, but the operating losses also increased. The adjusted operating profit fell from NOK -373 million to NOK -1.2 billion, while profit before tax went from NOK -2.6 billion to NOK -2.5 billion. The dark red figures are due to a combination of several factors, including competition in the airline market, an oil price that has turned sour for many airlines, Norway’s costly growth, too many routes with low profitability, and engine problems on the Dreamliner aircraft, the report says. To strengthen the finances and avoid breaking the creditors’ minimum requirement for equity of NOK 1.5 billion, the company announced an emergency rights issue. Yet CEO Bjørn Kjos appears to be denying the crisis. “Norwegian has never really had financial problems,” he told journalists on Tuesday. “We have been in a build-up phase and it costs to expand. But now we have finished most of the growth,” he said, adding that Norwegian expects to be profitable from 2019 onwards. Based on Norway’s preliminary figures for 2018 and the figures they have already reported up to and including the third quarter, the key figures for the fourth quarter can be anticipated, E24 writes. These show that the company lost NOK 4 billion before tax during the last three months of 2018. Preliminary figures measured against the fourth quarter of 2017 show turnover rising from NOK 7.84 to NOK 9.69 billion, gross operating profit before depreciation (EBITDA) going from NOK -652 million to NOK -3.11 billion, adjusted operating profit changing from NOK -901 million to NOK 1.30 billion, and profit before tax going from NOK -1.43 to NOK -3.96 billion. At the same time, equity fell by NOK 3.58 billion to NOK 1.7 billion, only NOK 200 million above the minimum requirement. This is due to a combination of the losses at Norwegian and the decline in the company’s share price. “They lost NOK 1.8 billion on fuel security alone. The figures seem to be in line with my expectations,” says Carnegie analyst Preben Rasch-Olsen. There is a big difference between the operating profit and the adjusted operating profit. The figures show that the company’s losses in operations rose in line with growth, while at the same time it lost in financial contracts. In the fourth quarter, ‘Other losses/gains’ amounted to a net loss of NOK 1.81 billion. This is roughly in line with the estimated total loss in the fourth quarter for all financial contracts of NOK 1.84 billion which Norwegian reported in the traffic figures for December. Part of this is an unrealised loss on hedge positions of NOK 1.99 billion for the quarter, which indicates that Norwegian has had gains in other financial contracts.